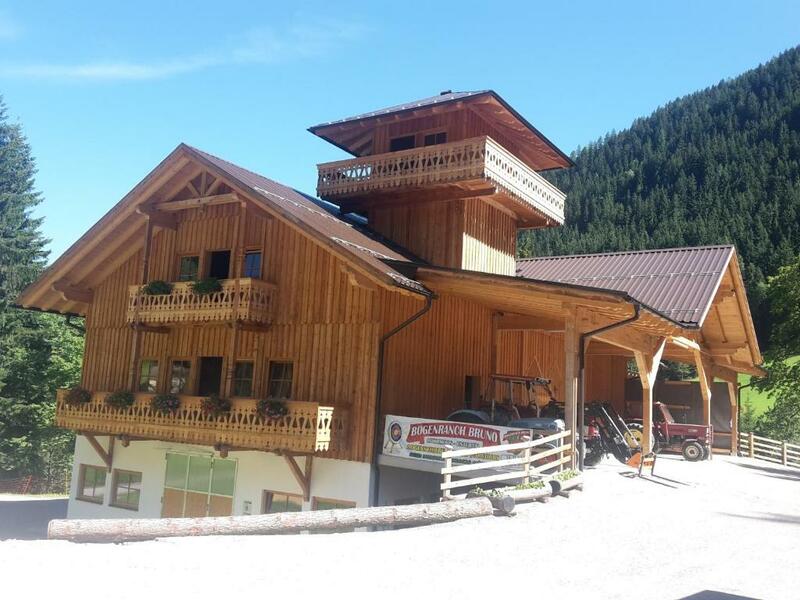 The house is located 20 minutes away from Schladming city center, the room was very spacious and bright, with a fully equipped kitchen. The parking is just outside the house and the small farm with cows and rabbits is very nice to visit. 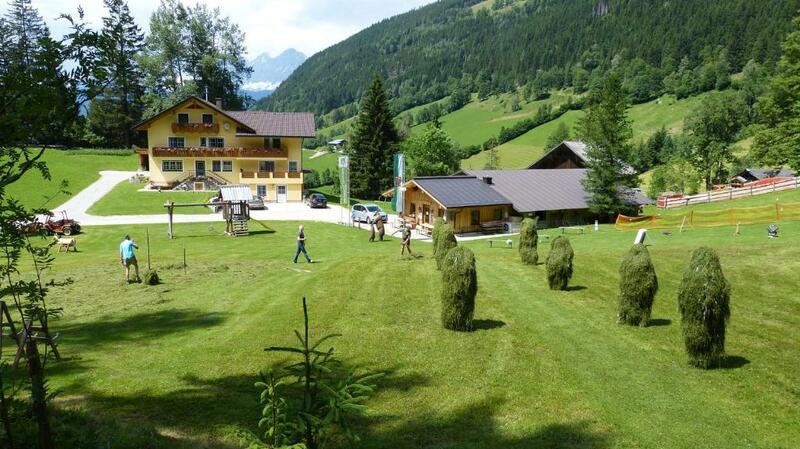 Next time we would definitely stay in Schieplechnerhof! This place really is perfect! it is crispy clean, tidy and furnished with great attention to detail (bathroom even had a built in radio, coffee capsules added to use with Cafessimo machine and extra available for purchase for a very reasonable price), little lights making for nice bedtime atmosphere, enough storage for everyone's clothes and comfy beds. Our room overlooked the mountains, and the place is a bit hidden in the forest providing a beautiful and serene environment to wake up every day. Fabulous! 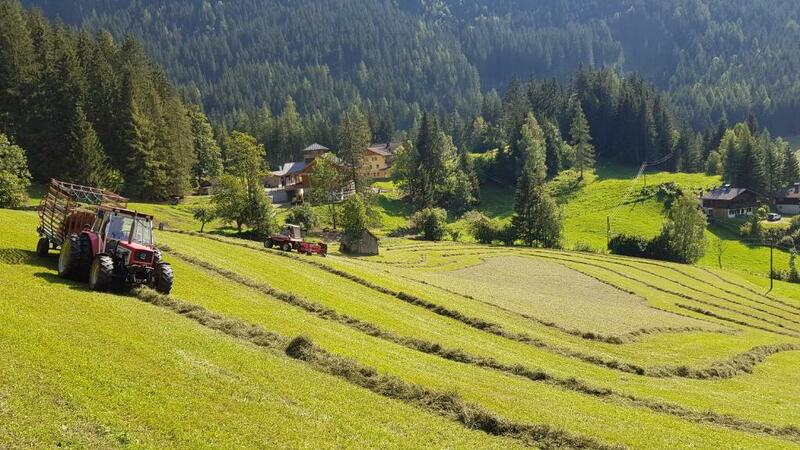 Also close to skiing lifts in Rohrmoos, a 10 min drive. Spacious and clean apartment. Ski storage with ski boot radiator next to parking space. 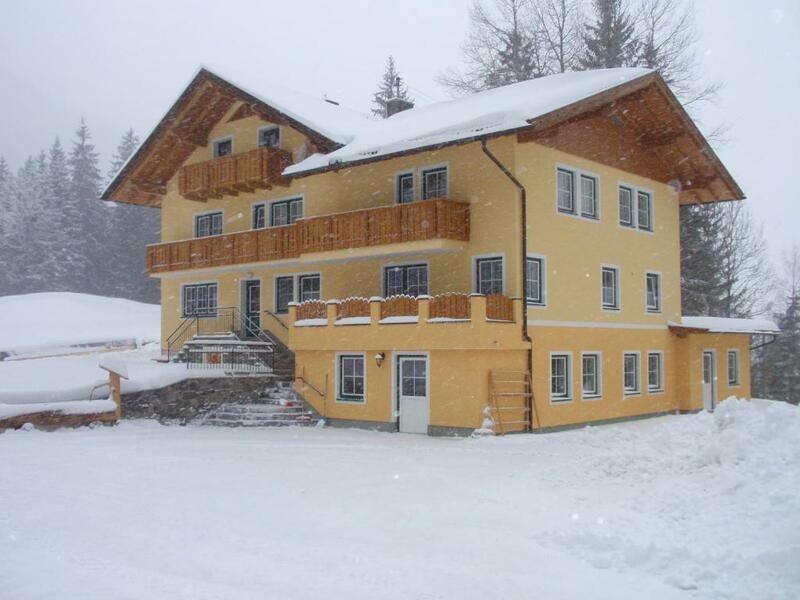 Five minutes drive from ski lifts Planai and Hohwurzen. Very calm place. Beautiful environment. Very close to the mountains. Room was clean. 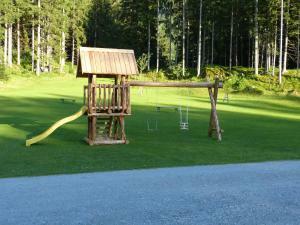 The place is located away from the town, in amazingly tranquil surrounding of the Untertal valley. It is however well connected with the slopes via skibus, which stop is located within walking distance. The hosts are welcoming and helpful,, there is a fresh bread service too. This is great spot for cross country skiing too as it is not far away from several routes. I would definitely recommend it for a family or group of friends as the hotel is not massive resort and therefore you can enjoy calm and homey afternoons after all day skiing! Paní po příjezdu s úsměvem předala apartmán, vše proběhlo velmi pohodově. Dobře zařízená kuchyňka, tchibo kávovar na tablety, mikrovlnka, toustovač. Dva velké pokoje, teplo a útulno. Dole vyhřívaná prostorná lyžárna. Pokud jedete lyžovat k první kabince je to cca 8km. Krásný dům na samotě ulesa. Sehr freundliche Gastgeber, ausgestattet mit allem was man braucht. 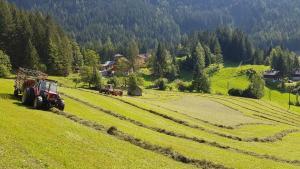 Wunderschöner Ausblick aus den Zimmern. Alles sehr aufgeräumt und sauber. Es gibt einen eigenen ski Raum. Шале находится в горах, природа красивая. Номер очень хороший, спальня, санузлы, отдельная кухня с обеденным столом и диваном. Все продумано, все есть, очень чисто, комфортно, уютно, очень тихо. Модно пить воду из кранов. Čistota interieru, ochota majitele, zajištění čerstvého pečiva. Lock in a great price for Schieplechnerhof – rated 9.6 by recent guests! 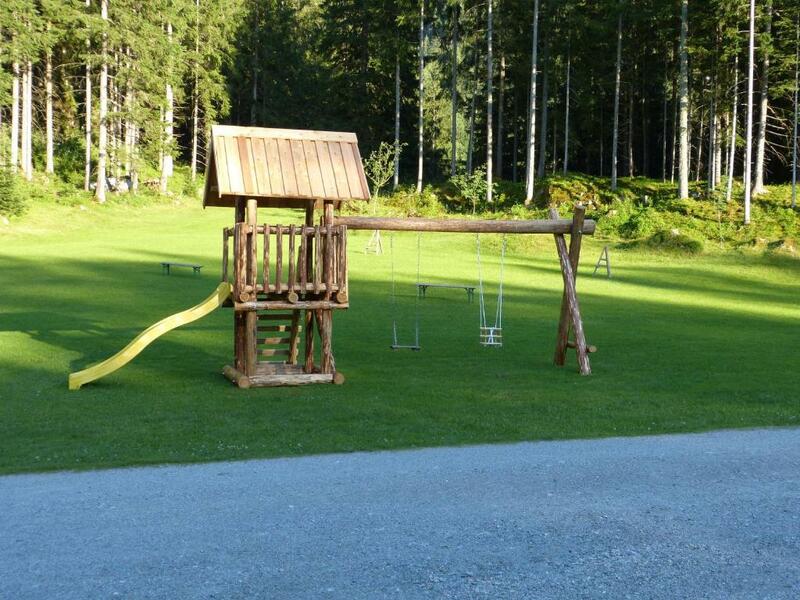 One of our best sellers in Schladming! 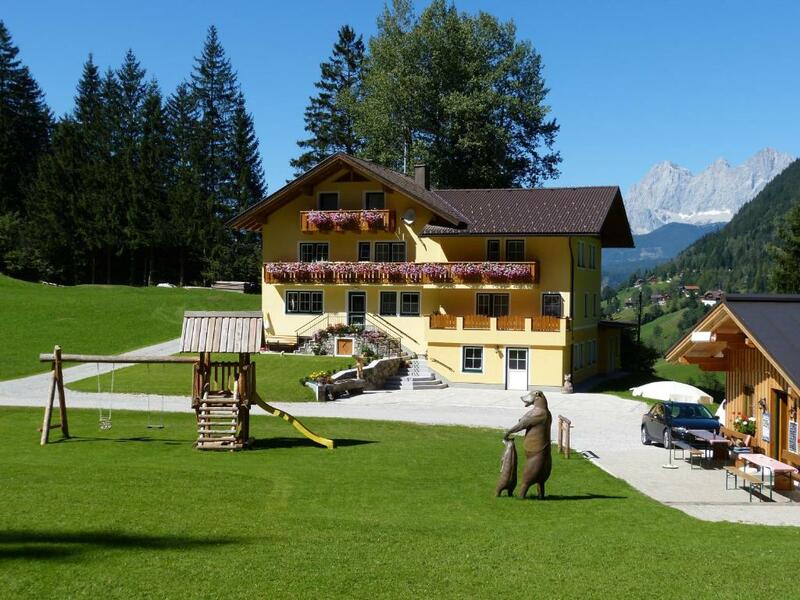 Schieplechnerhof enjoys a quiet location 2.5 mi from Rohrmoos and 4.3 mi from Schladming, just 800 feet from the stop of the free ski bus taking you to 4 ski resorts. It offers you fully equipped apartments with balcony and free Wi-Fi. Panoramic mountain views, a dishwasher, a flat-screen TV with satellite channels and a private bathroom including a hairdryer are further features of the apartment. The nearest restaurant can be found 0.6 mi from Schieplechnerhof and a supermarket is located in Rohrmoos, 2.5 mi away. The ski bus goes to the Hochwurzen, Planai, Reiteralm and Hauser Kaibling ski areas. I can be used free of charge if you have a valid ski pass. Cross-country skiing tracks are just 800 feet away and you can enjoy curling right next to the house. There is an indoor swimming pool in Schladming. From 25 May to 13 October the Summer Card is included in all rates, entitling to the free use of all cable cars, toll roads, swimming pools, hikers' busses and much more. When would you like to stay at Schieplechnerhof? House Rules Schieplechnerhof takes special requests – add in the next step! A deposit via bank wire is required to secure your reservation. Schieplechnerhof will contact you with instructions after booking. Please inform Schieplechnerhof of your expected arrival time in advance. You can use the Special Requests box when booking, or contact the property directly using the contact details in your confirmation. 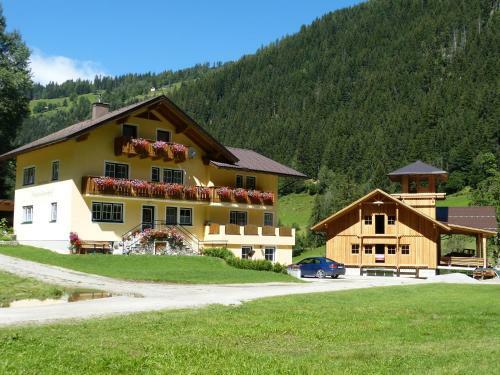 The house located 20 minutes away from the city center, so it is necessary to use a ski bus or a car to get to the ski resorts. There could be higher temperature in the rooms, especially in bedroom. But that's personal preference.